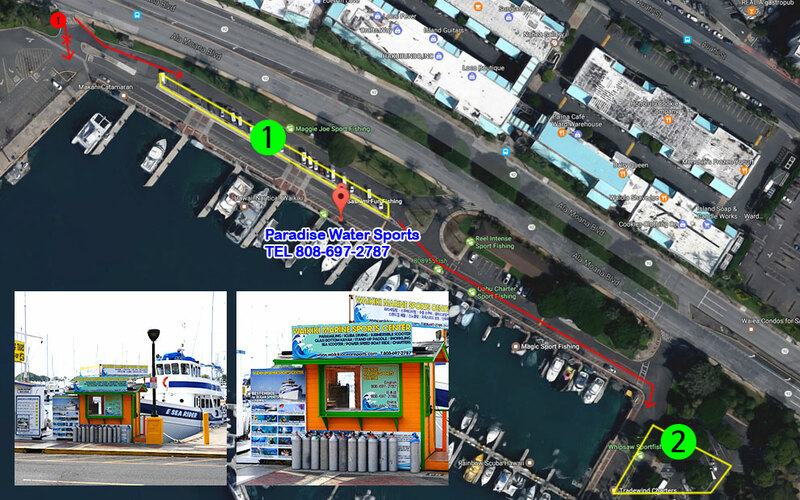 BEST CHOICE for OCEAN SPORTS in HAWAII Waikiki Ocean Sports is located in Kewalo Basin, Right Next Waikiki Beach on the Island of O'ahu. We offer the safest and most modern ocean activities experience available today. 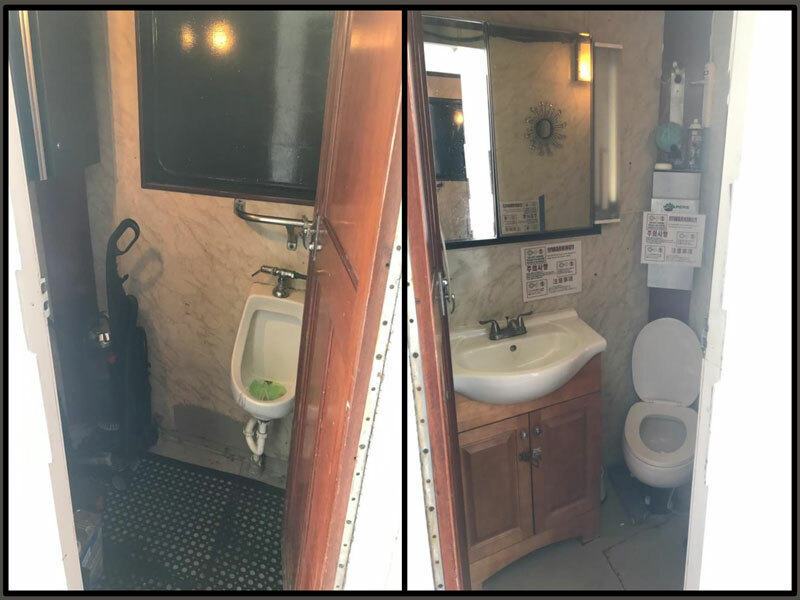 Our goal is to create the ultimate personal experience in service for each customer, while keeping safety and enjoyment in the forefront. Our boat is custom built for ocean activities and was designed to provide the safest and most comfortable ride. We differ from other traditional companies in that you can enjoy your activities on your own schedule without having to wait for other participants. You can add photography and videography to all tours by simply requesting service before the activity starts. We recommend that you take seasick medicine if you have experiences with sea sickness. (We also have motion sickness patch on site that can be provided for free if you forget to bring yours). We have a wide selection of activities that you can choose to your liking. You can also add more activities to your day at the activity site. We have an indoor space on our boat which allows participants to warm up after their water activities and avoid the sun. 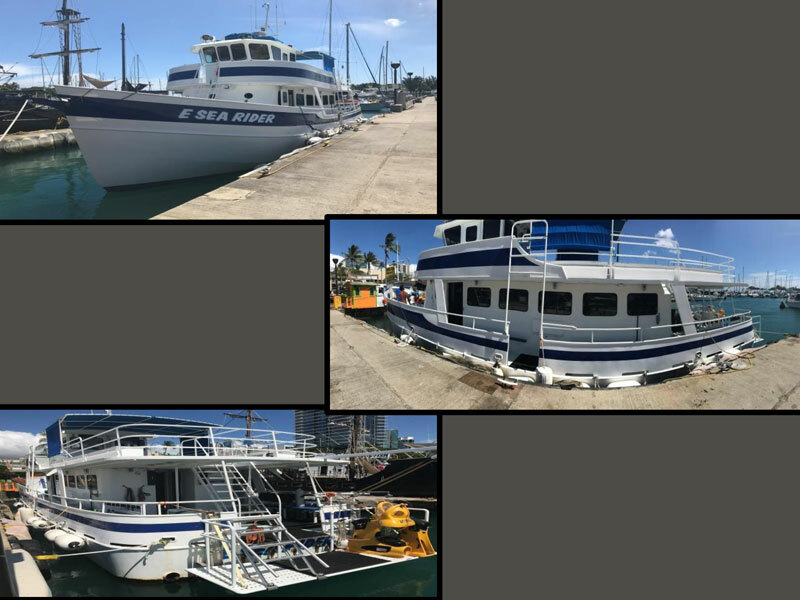 Largest scuba diving company in Hawaii which operates 2 diving boats with shuttle boats. All scuba diving is operated under a professional PADI licensed instructor. We also have staff that is PADI licensed for medical emergencies on site that is always on standby. 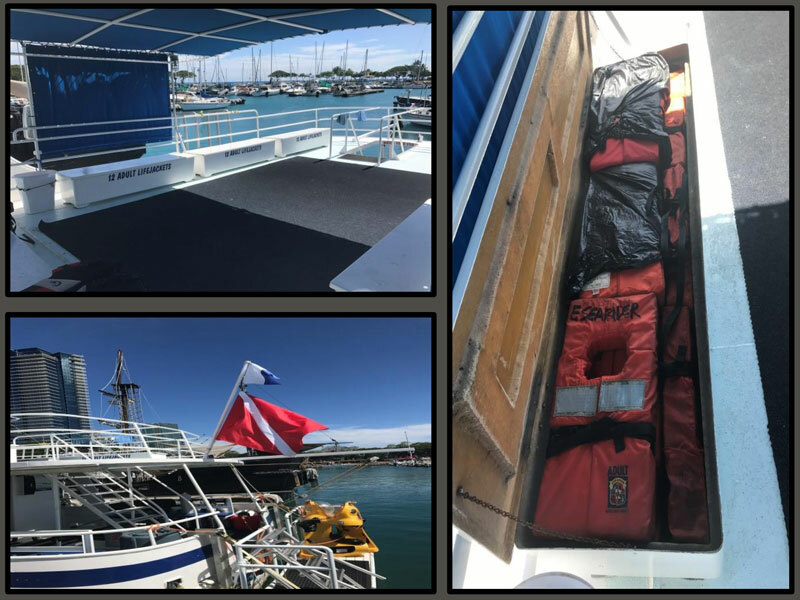 We have the largest 2 story boat for operating our diving tours. 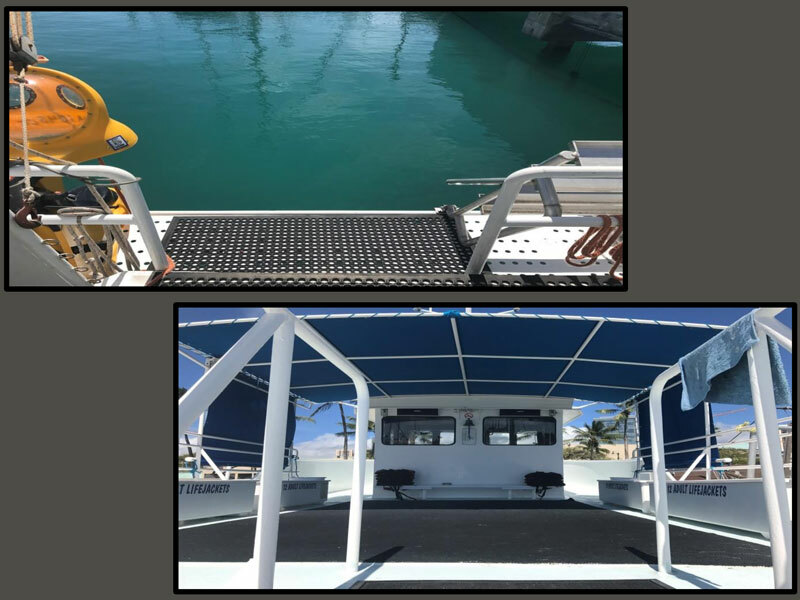 60’ cruise ship that has been retrofitted into a one of a kind diving and water adventure sport vessel. Capable of carrying 77 passengers, and can be operated with a minimum 3 man crew. 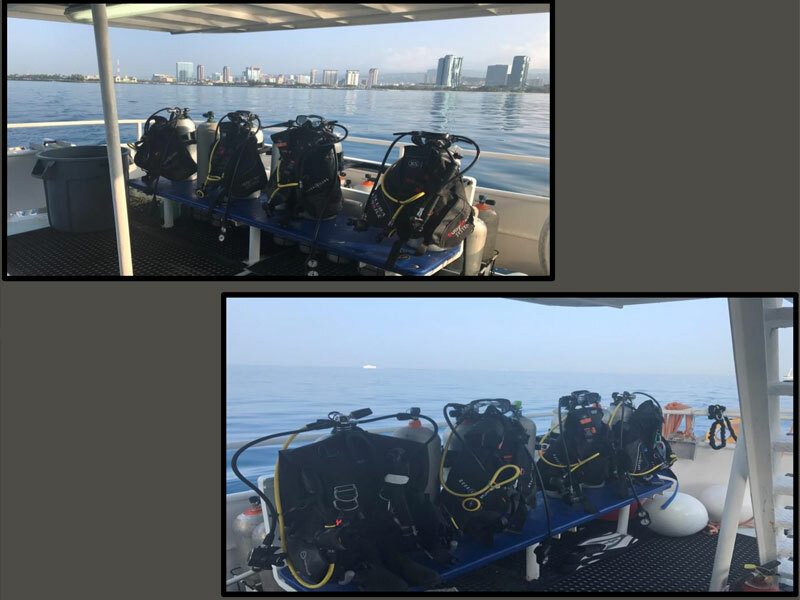 We offer Scuba Diving tours, as well as the BOB Underwater Scooter, which is rapidly becoming popular with the non- diving community. We also offer snorkeling adventures, as well as glass bottom kayak, and stand-up paddle boarding. Inside the lower cabin, we have a small galley where we offer coffee, and refreshments to our guests. 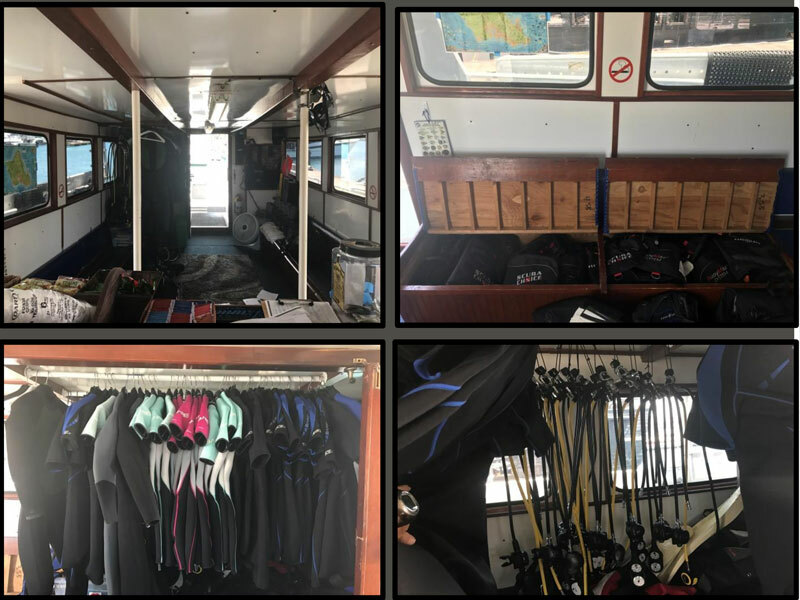 Additionally, most of our gear is stored in under bench cabinets, as well as wetsuits and regulator storage hung neatly along the aft wall. 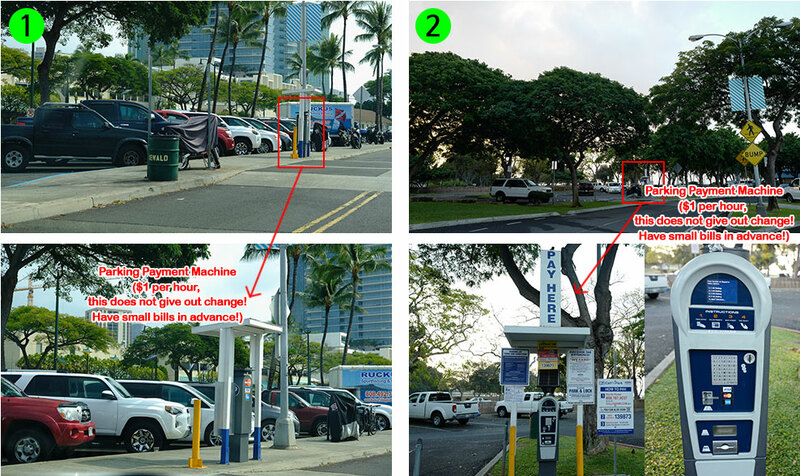 The Dive briefs are conducted here, as well as fitment for wetsuits. With enough SCUBA gear and space aboard the E Sea Rider, she can accommodate up to 14 divers at a time. When fully loaded she can carry over 50 cylinders to allow for hours of diving in a single trip. Aft dive platform, and heading upstairs to the second level. A dedicated dive platform makes giant- stride entries safe, quick, and easy. Heading upstairs from the diver staging area is an additional 26 passenger seating area, and the Captain's Wheelhouse. 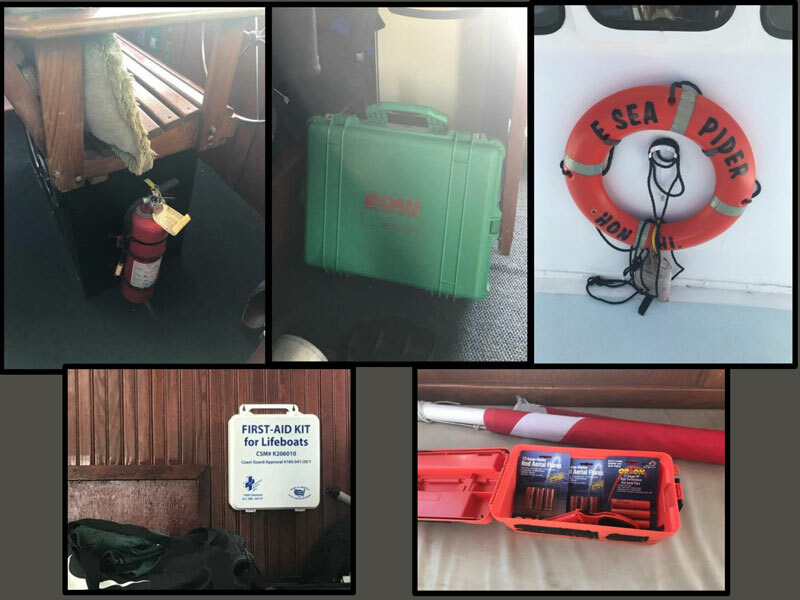 Refreshments are also served here, and guests are given Boat briefings, and provided the relevant information for their adventure with us. Upstairs, emergency life jackets are stored neatly under the bench seating. The Dive Flag is displayed off the stern of the ship. Fire extinguishers and life rings located throughout the ship. There is also a DAN emergency O2 Kit, as well as several first aid kits. 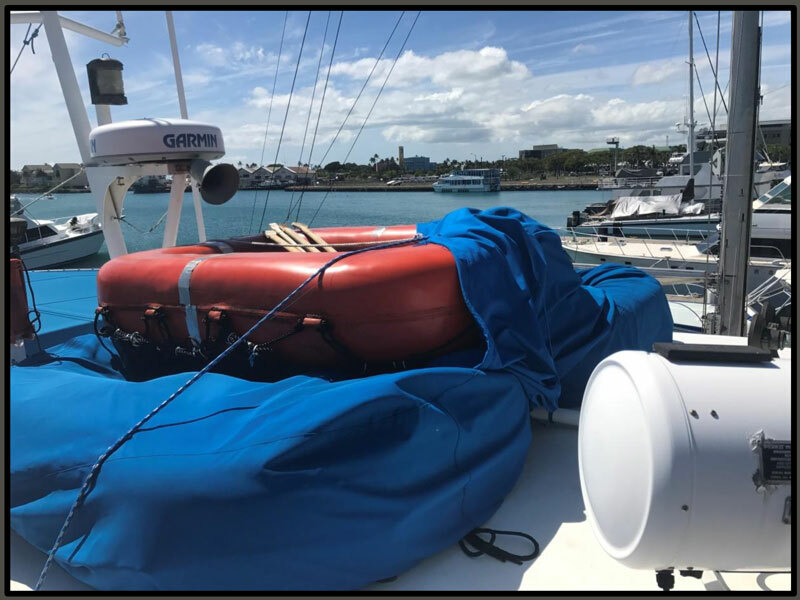 In the unlikely event they are needed, life rafts are located on top of the Captain’s wheel house.